It’s a supply of organic iodine of marine algae titrated with iodine. Iodine deficiency is much more frequent than we think. Studies have shown that nearly everyone misses a little bit of iodine. According to WHO it’s enough to dose urine iodine to screen for this deficiency. Iodine is indispensable for the thyroid hormones. Thanks to iodine the thyroid gland can regulate energy levels and helps adapt to stress. Such little signs as cold intolerance, fatigue and constipation can warn of iodine deficiency. So iodine is necessary to improve tonus, to better adapt to stress, for cold intolerance and for iodine deficiency especially during pregnancy. Iodine is recommended for thyroid function, normal synthesis of the thyroid hormones, a good energetic metabolism and for healthy skin. 1 capsule every morning and evening with a glass of water for 3 months. Iodine - 150 mcg (100% of RDI). 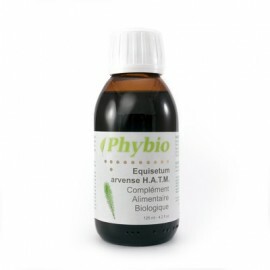 Ingredients: Brittany algae - sea lettuce, Irish moss, Lithothamnium, capsule of marine gelatin. 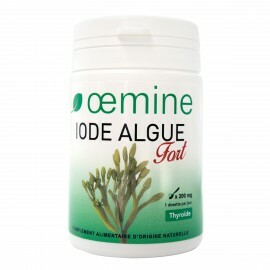 Oemine IODINE ALGAE is guaranteed without colorant, preservative or any synthetic product added. 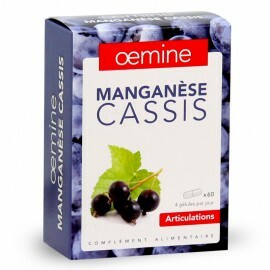 Oemine IODINE ALGAE is manufactured according to strict norms. Its dosage of vitamin corresponds to Recommended Daily Intake (RDI) and must be used according to the indicated dose. 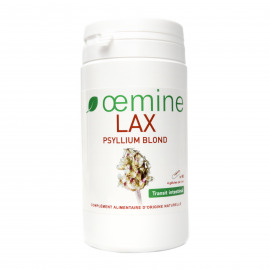 Oemine IODINE ALGAE can’t substitute a balanced diet and must be kept out of reach of children.